Here at The Pet Rescue Center, we try to work cooperatively with shelters, veterinarians, other rescues and the community. It is a commitment that we take pride in, protect vehemently and strive toward every day. We are fortunate that this cooperative approach led us to team up with Hendrick Boards. They actually came to find us via Dr. Wheaton on Twitter. Based in Orange County, Calif., Hendrick Boards seeks to showcase and build the culture and lifestyle that skateboarding inspires, while ensuring the protection of the environment and helping to safeguard the welfare of pets and animals through each and every purchase. The power of social networking is awe inspiring and a new useful tool to help us enhance the cooperation we strive for in our mission. 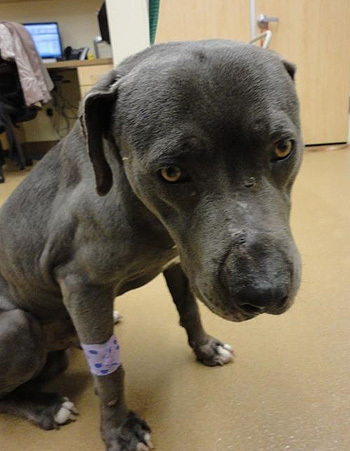 On Feb. 27, 2012, David Hendrickson (of Hendrick Boards) happened upon Sammy, a blue nosed pit bull who was most likely a victim of the dog fighting culture. Sammy was in dire need of rescue, and David stepped up to the plate. He immediately contacted us and brought Sammy in for an evaluation. Sammy is a very handsome, 2- to 3-year-old male pit bull. 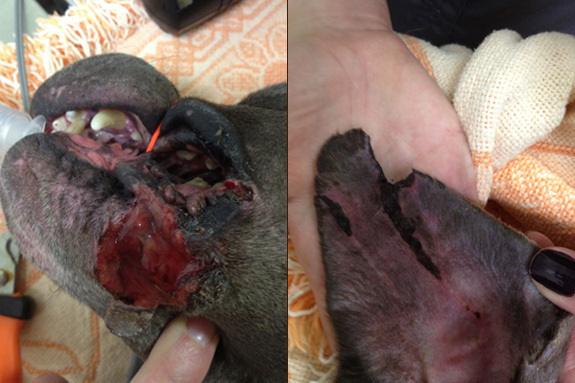 We all believe that poor Sammy had been used as a bait dog. He had old wounds and very new wounds covering his body, including a 3 – 4 inch laceration to the bottom of his chin and significant damage to his ears. Immediately we went to work fundraising and were able to raise enough money to take Sammy immediately to surgery to repair his wounds. Amazing! 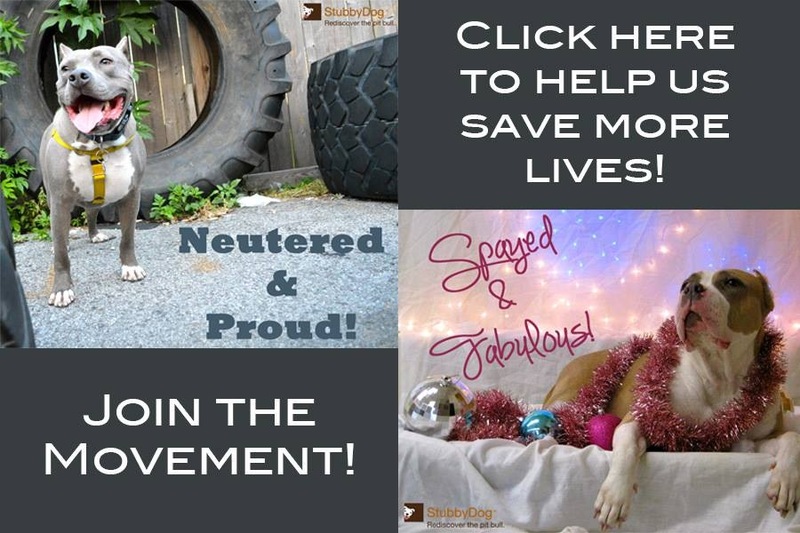 In the world of rescue, we need two things to keep us moving forward: the financial resources to identify need and address it, and the support to carry it out, to save deserving dogs and cats from unnecessary euthanasia. Although life was clearly hard for Sammy for too long, he finally got a break. We are so happy he is healed and healthy. On the March 8, Sammy got a wonderful chance to give back. Piper, a rescue dog from DAWG Rescue, was brought into Alicia Pet Care Center after ingesting rat bait. 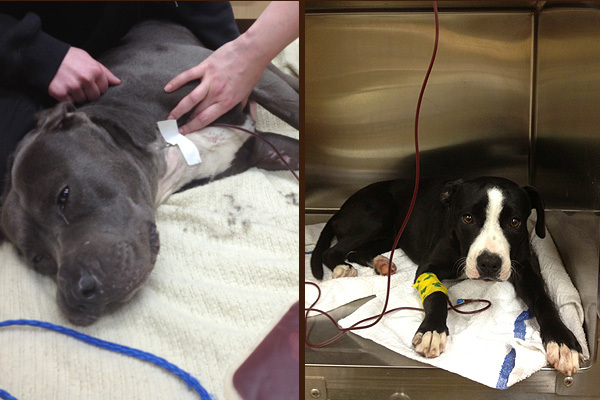 He needed a blood transfusion, and Sammy was his match! He was such a great patient through the whole procedure, and Piper was very lucky to have him. Another example of how working cooperatively in rescue is rewarding on all levels! 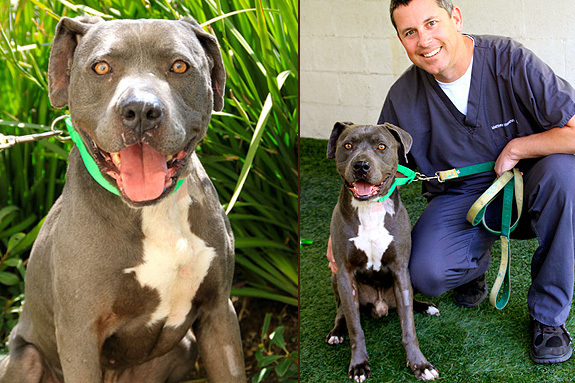 Sammy is almost completely healed and ready for a family to love him forever. Sammy is very well behaved. He gets along wonderfully with other dogs and people of all ages, shapes and sizes. He also knows some great tricks! He would be a very obedient and loving companion. We are very grateful they were able to help this sweet boy, and we hope to find him the right home soon. Sammy is available for adoption through The Pet Rescue Center, which is in Mission Viejo, CA. To learn more about Sammy, click here. What a wonderful story! Sammy is beautiful! Piper looks so much like my Tommy!